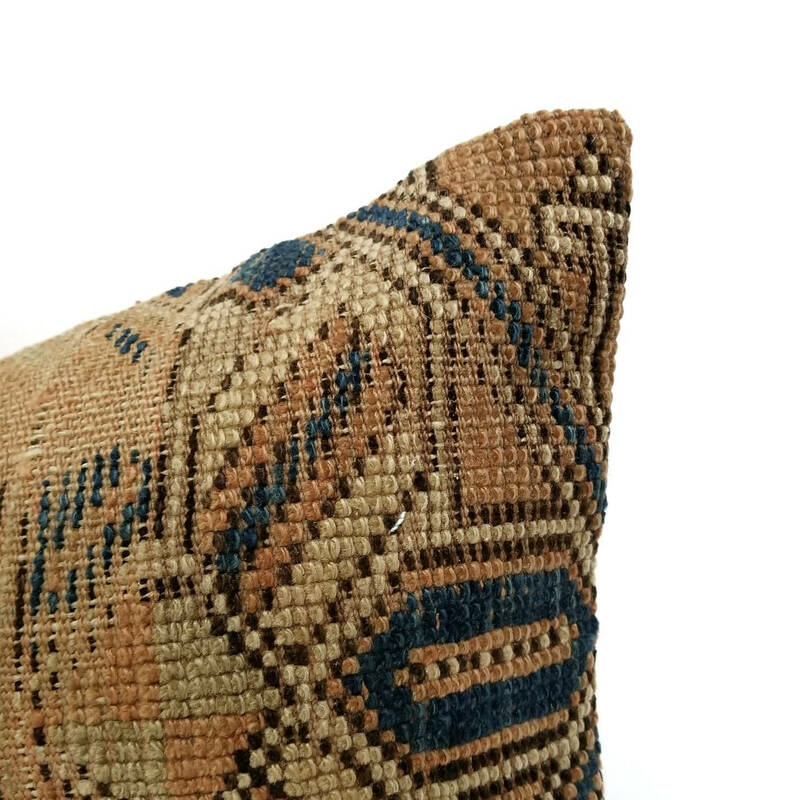 12"× 20" Vintage Turkish rug kilim pillow cover. 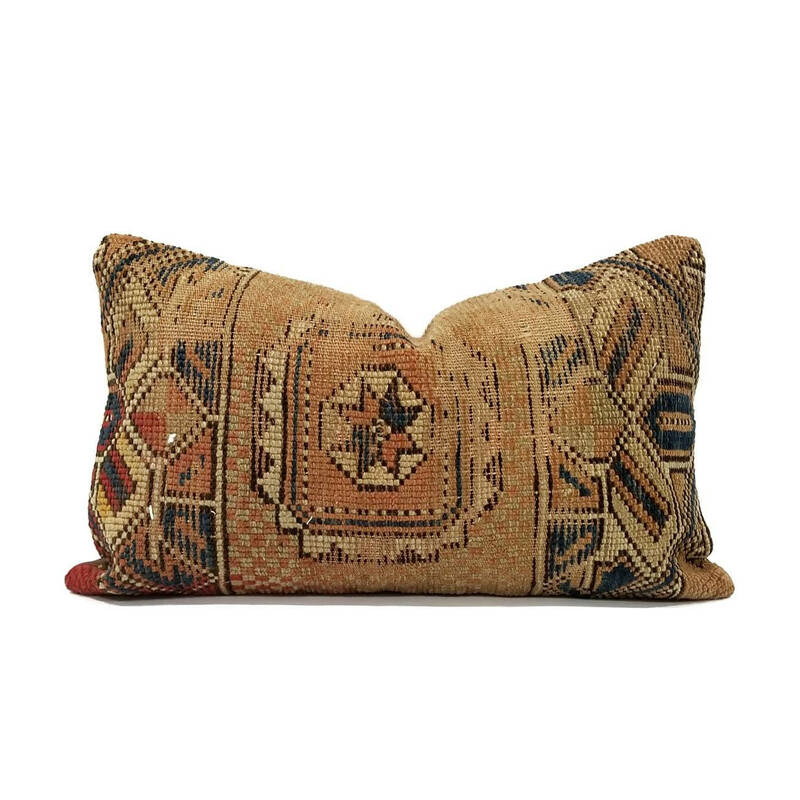 *Since this is a vintage rug pillow, small stains and and imperfections might be present. This is not considered defect and only adds character to each vintage pillow. *There may be slight variation in color with each monitors.